This "You Should Try" is for a game that many of you have likely heard of before but I doubt as many have actually played it. 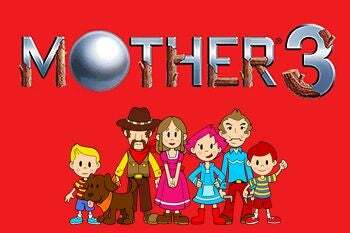 If the name Mother 3 only manages to ring a bell then you probably heard about it from people begging Nintendo to release it outside of Japan. If you're wondering "Why would you recommend I play the third game in a series I've never heard of before?" then allow me to explain just what Mother is. Mother is a series of JRPGs that were released in Japan, with the first being on the Famicom (NES). The devs originally planned to bring it to the states, but by the time the translation was done the SNES was already out and they worried that an NES game wouldn't bring in enough sales to justify the marketing and whatnot. Mother 2, however, did make it to the states, under a name you've surely heard of: Earthbound! If you're somehow not familiar with Earthbound either (shame on you!) then the best I can say in a few words is that it is a SNES JRPG set in a setting not unlike America, starring children who come together to save the world from an evil alien who plots destruction. Mother 3 is the Game Boy Advance sequel to Earthbound, though its ties to its predecessor are hard to see early on. It's not necessary that you play Earthbound prior to playing Mother 3, but it will without a doubt give you a deeper appreciation for the latter. From the outset, Mother 3 appears strikingly similar to Earthbound in just about every way. Its visual style is the same, akin to that of an old comic strip, it's still a JRPG set in a familiar looking setting, and it keeps the charming writing and punny enemy names. There is only one major aspect of the gameplay that sets it apart from its predecessor. The combat in Mother 3, like in Earthbound, is your typical turn based rpg with four party members. What sets this installment apart is its implementation of a brilliant new aspect to its combat: a rhythm system! Each character has four commands: their basic attack, their special abilities, their items, and the ability to defend. The basic attack in this game really shines through, as it is where you'll get to enjoy the rhythmic combat that this game offers. Every enemy has battle music playing behind it, but unlike many JRPGs there are a ton of different battle themes. When you make the decision to do a basic attack you immediately do a base amount of damage based upon your strength and weapon, but then if you press A with the beat of the music you can continue to string together multiple smaller attacks, up to a combo of sixteen! This rhythmic combat takes the basic idea of JRPG combat and adds a very unique layer of fun. Some battle tunes you may pick right up on, while others may be more difficult to keep time with. Relatively early in the game you can acquire an item that allows you to recall any enemy you've faced thus far and practice battling against it, without fear of it fighting back. This allows you to practice the different beats as they present themselves in the game, as each enemy will have the same battle theme every time you face it. It's also a great excuse to listen to the amazing soundtrack featured in this game. While the gameplay does manage to bring a new element of fun to the typical JRPG formula, it's the story and characters that really make this game worth telling you about. Mother 3 is a game about loss. Loss of life, loss of innocence. This is a story far deeper than you would expect given its charm, humor, and visuals. Mother 3 isn't the story of any one individual. The primary protagonist is a young boy by the name of Lucas, but there are many more characters you'll come to know and explore the relatively small world with before you even begin Lucas' journey. It's difficult to go into any details of the story without spoiling SOMETHING for you, so I'll do my best to give you the most baseline synopsis possible. Lucas is a young boy who lives in Tazmily Village, a lovely peaceful town reminiscent of that of an old American western. Events beyond anyone in the town's control force him into an adventure to discover the true reason behind a number of changes that have swept over his home in just a few years. There are themes present in this game that really manage to make you stop and think about society in general. There are so many underlying themes and metaphors in this game that reading interviews with its creator, Shigesato Itoi, is in many ways just as fascinating as playing the game itself. The experience really shines a light on subjects such as humans' constant desire for more than they have, as well as the depths someone will sink to no longer be considered an outcast. If you're looking for a game that is capable of both charming your pants off with sights like a small frog driving a frog sized car as well as pulling your emotional strings with one of the most real and heartrending reactions to death ever presented in a video game, then Mother 3 is exactly what you need. I don't know that another game exists that so perfectly mixes funny lovable moments with such depth and loss, but if one does then I'd love to hear of it. As I mentioned previously, Mother 3 is unavailable outside of Japan officially, but there are always ways around these things. If you'd like to experience this fantastic game then you can find the English fan translation HERE. Also, if you're one of those people who enjoys having access to a good guide while playing through a game, then there is a masterfully done fan guide available HERE. You can either view the online version for free, or purchase a physical or PDF copy. I generally try to avoid guides while I'm playing games, but this one was great to look through after I had finished the game and would make a great collector's item. I hope at least some of you will take this opportunity to experience this fantastic piece of art. As usual, thanks for reading!